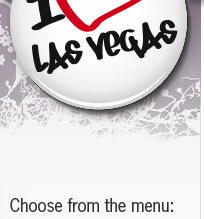 Las Vegas is perhaps not the town you go to for shopping, but there are actually shopping for the shopping crazy. Since we stayed in a hotel more southward on The Strip, we chose to go to Las Vegas Outlet Center located in the southern end of the Strip. This is easy to find! We asked at the hotel and they said that we get there easily by bus. Great... and bus we took. We went to the bus stop just outside the Luxor hotel. Unfortunately, we do not remember which bus number we took, but we went to South Strip Transfer Terminal, where we then switched buses to go directly to Las Vegas Outlet Center. Worked really well. Just ask which bus number you need to take. NOTE! Remember not to miss the last bus back to Las Vegas, it is very easy to be inside shopping for a loooong time. Here you'll find brands such as American Apparel, Adidas, Gap, Hugo Boss, Ralph Lauren, Jones New York, Burberry, Kenneth Cole, Levi's, DKNY, Dior, Timberland, Reebok and many many more. Bus service - The Deuce - started the new bus route through Las Vegas on October 27, 2005. Can be a good idea to look into the Deuce website which seems to provide bus service directly from the Strip to Las Vegas Outlet Center. 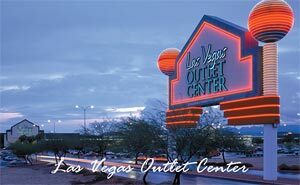 Here you'll also find well-known brands which has its own outlet-shop in this major center of stores, you can find, among other things: Wilson's Leather Outlet, Levi Outlet, Jockey Outlet, Quiksilver/Roxy Outlet, DC Shoes Outlet, Lacost Outlet Las Vegas, Ultra Diamonds, Zales Outlet, Fossil and others. The store for you who are looking for motorcycle things. For those who are looking for stringed instruments. For those who are looking for old or new cars. The store for those who are looking for a new hairstyle ... without hair cut, wigs everywhere. The store that makes the man. Located 36 miles (about 60 km) south of Las Vegas, along with the road I-15. Another store for the man.